1. 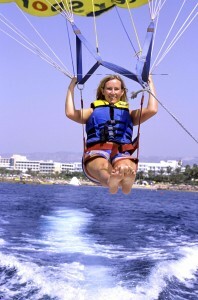 Water Sports and Beach Activities: This beach resort has a variety of water sports for the average fan. There is jet skiing, water skiing, scuba diving and similar activities for some big-time adrenaline indulgence. And, in those crystal waters, water sports are just an experience to cherish for a lifetime. In addition, the sandy beaches are the perfect way to spend your day lazing and resting far from the madding activities of one’s regular life. 2. Water Parks: Magaluf is also filled with fun water parks, which could be the ideal way for children and families to spend time together. Some of the prominent water parks in the region are Aqualand and Marineland, to name a few. Children love these places because they, especially Marineland, have the added attraction of dolphin and seal shows. They are the best way to spend the day in Magaluf, next only to a restful beach day. There is also the submarine of Nemo, which is available by the Magaluf port. Most children love this underwater ride, and it can be a magical experience for little kids. 3. Indoor Activities: Being an exotic seashore, some outdoor time in Magaluf’s sun is highly recommended. However, if you are not a fan of outdoor bach or water activities, there are fun things to do at the go-karting track, the 4D cinema hall or even at the Pirates Adventure. 4. Golf: Addicted to golf and can’t live without it even while on vacation? Then, there is plenty of reasons to rejoice as there are top-notch golf courses in the resort area, such as Crazy Golf and Golf Fantasia. 5. Scuba diving when you’re on holiday is a must, esspecially when you are in a place such as Magaluf. The different fishes in the ocean is quite amazing, if you are thinking about scuba diving when you are away make sure to grab some insurance from https://www.divemasterinsurance.com/ to be extra safe. Magaluf is one of those vacation spots where being outdoors and revelling in the sun, the sand and the blue waters is the best way to spend time. However, it is safe to say that Magaluf has something in store for almost every kind of tourist. This is perhaps one of major reasons why tourists flock to Magaluf for short breaks and to have some quality vacation time.